February 19 is National Lash Day. To celebrate, do some spring cleaning and replace your old, dried up, crusty, and cakey mascaras that are taking up space at the bottom of your makeup drawer with some fresh tubes. 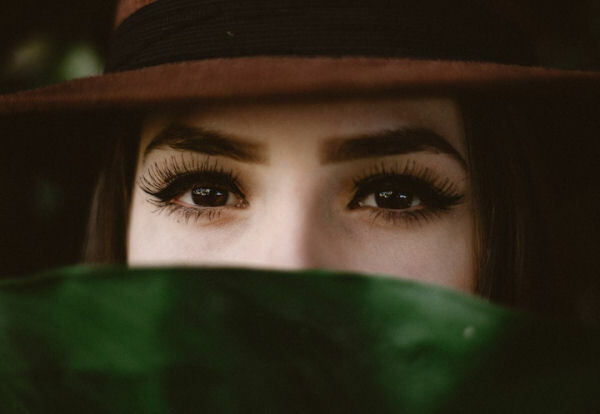 In addition to our suggestions on which brands and formulas can upgrade and revamp your mascara wardrobe, makeup artist + Moda Brush expert Dominique Lerma shared her recommendations on how to get the best lashes ever. These are our gifts to you — our loyal readers — on National Lash Day. Applying mascara to top lashes is standard. Bottom lashes are much trickier — especially for mascara novices. To ensure that mascara application is smudge-free along the lower lash line, try the uniquely-shaped tool known as a Falsie Fan. “I place a business card right beneath my bottom lash line, I dip the Falsie Fan into my mascara, and paint my lashes in a downward motion with the Falsie Fan held upright to ensure an even application,” says Lerma. 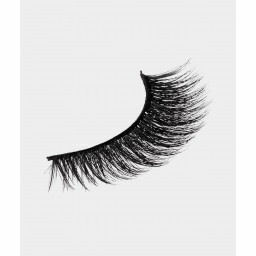 The Moda Falsie Fan also helps with fake lashes. Don’t just glue them on without blending them seamlessly. Lerma recommends adding first the strip of lashes or individual lashes, then using the Falsie Fan. Swivel the brush, back, forth, and upward to blend all lashes in the same direction. Available at BeautyUSA. 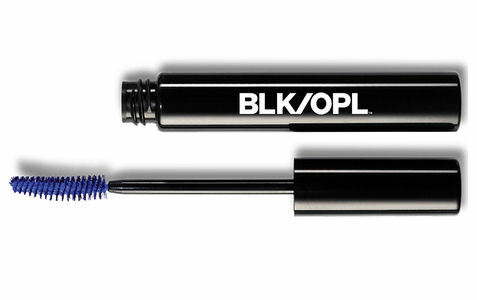 Black Opal High Impact Mascara in Royal Blue for eye opening voltage! Who says mascara must be black? This beautiful blue will surely bring out your baby blue peepers, or liven up your sweet brown eyes for some unexpected pizzazz. It can be easily used with a Falsie Fan to create smudge-proof bottom lashes. Pro Tip: Not ready for all blue lashes? Apply your black or brown mascara as usual, and then simply use the blue on the tips. Available at Black Opal Beauty. 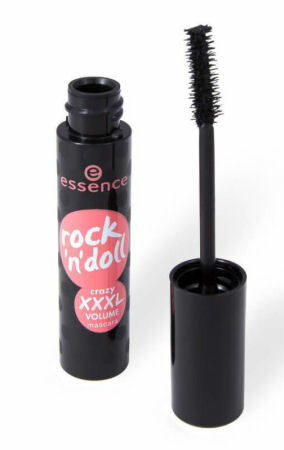 If you dare to go a further step, opt for Essence Rock ‘n’ Doll crazy XXXL Volume Mascara. With a special, cut-fiber brush, you can achieve insane lash volume. Catrice Cosmetics Prêt-à-Volume Smokey Mascara offers a smooth, black texture that was independently tested to last 18 hours. There’s no clumping action, either! If high lash drama is not your thing, but you still want definition, don’t panic. 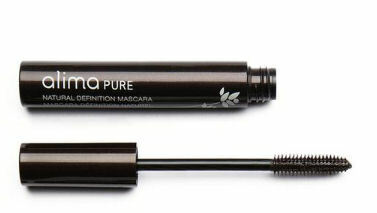 Instead, try Alima Natural Definition Mascara, an ethically-sourced, pigmented mascara that enhances lashes naturally. Pro-Vitamin B5, Jojoba oil, and natural beeswax will nourish and condition your lashes, while the rubber-bristled wand allows you to carefully separate each lash. Fake eyelashes are everywhere lately. That’s because they look fabulous and make eyes pop like headlights in the night. If you want to try your hand at false lashes, get a hold of the new Kiss collection. 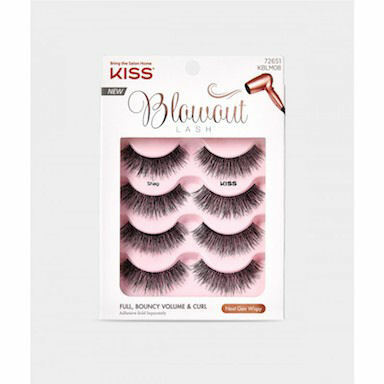 The Kiss Blowout is the latest innovation from the brand. It utilizes an advanced technology to deliver full eyes-batting-at-you volume and curl in six styles. The unique, criss-cross pattern of the lashes in the Next Generation Wispy helps blend the faux lashes seamlessly with your own. By flaring out at the ends, they add lift to your eyes. If you are looking for Old Hollywood glam lashes, try Kiss Lash Couture’sTriple Push Up collection. Inspired by Elizabeth Taylor’s iconic double-layered lashes, it’s a high impact lash look. For a supremely polished look, opt for the Kiss Lash Couture 5th Avenue Collection, which from the finest silk. Find them all at http://www.KISSusa.com and most major drugstores.